Will teaching spatial reasoning eliminate the need for support strategies for women? What if I told you that you could potentially improve the retention of your female students in engineering by almost 30% just by providing them with 12 contact hours of spatial reasoning education? 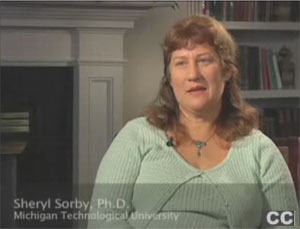 That’s what Dr. Sheryl Sorby of Michigan Technological University did. Seventy-seven percent of women who took an introductory spatial skills course she developed under an NSF grant were retained in Engineering Design, compared to 48% of the women who didn’t take the course (Female n=251). That’s a 29% difference! There is a great deal of evidence showing that overall women and girls as a group have significantly less ability in spatial reasoning, a skill that is critical to engineering and other science disciplines. There is also evidence that spatial reasoning skills and test scores can be easily upgraded in a short period of time. You can read nine articles in our Proven Practices Library on this topic! 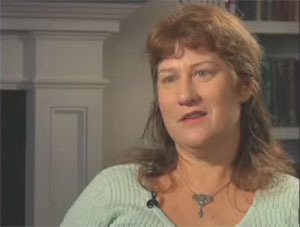 Hear from Dr. Sorby herself – the leading researcher on gender and spatial reasoning – in these U.S. Department of Education video interviews. Want a tested spatial reasoning course and teacher’s guide so you can implement a course in your school? This link takes you to the CD and workbook for students and this one takes you to the teacher’s guide. Have you noticed a gender difference in spatial reasoning skills between your female and male students? Or have you experienced difficulty in this area yourself? Dr. Sorby, an engineer, tells how it was her own difficulty with spatial reasoning, despite being an A student, that led to her interest in this topic. She wanted to make the path easier for the women (and men) coming behind her.